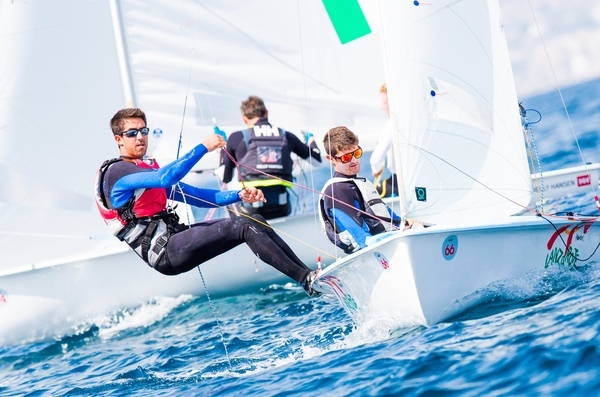 Sailors in one Paralympic and ten Olympic events competing at ISAF Sailing World Cup Mallorca – Trofeo Princesa Sofia ensured that their mistakes were kept to a minimum with fleets split in eight Olympic events. 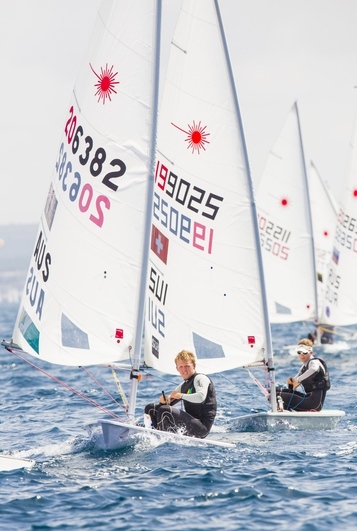 A light sea breeze came in around 11:00local time and remained between 5-6 knots with gusts of 7 knots on the seven race courses being used in Palma Bay. 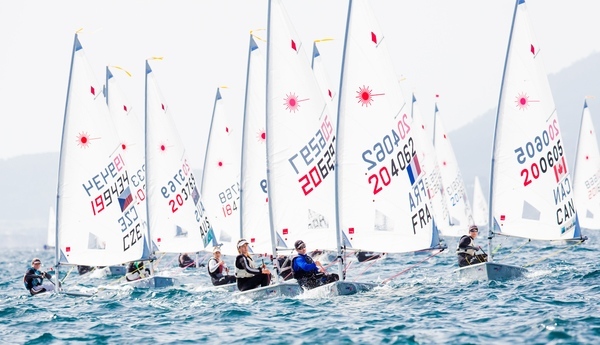 Racing in opening day of the qualification series commenced shortly after 12:00 with many international and national battles that have been evident throughout the 2013-2014 series continuing. The Argentineans controlled the blue fleet picking up a seventh, a third and first whilst the French stood out in the yellow taking two seconds and a seventh. 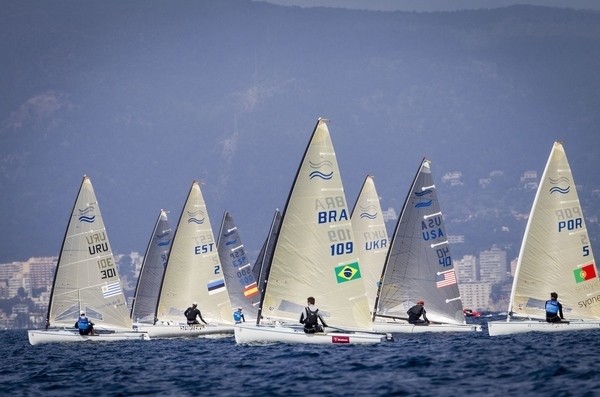 The Swedes sailed consistently in the blue fleet to add their name to equation.Despite strong results the Argentineans admitted to sailing with caution on the opening day. “You only have one discard in 11 races. So the most important thing is to be conservative. We are starting conservatively but we are really fast so we’ve managed to get on top after three races,” de la Fuente said. “We are now thinking about doing something safe on the second day. 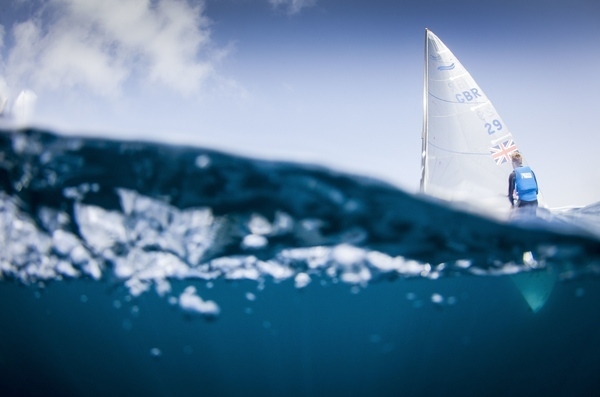 We know we have to keep our strength for the rest of the regatta because it will be more difficult. Especially in Mallorca where everybody is really close.We’ll keep some energy for the third day,” Mion said. 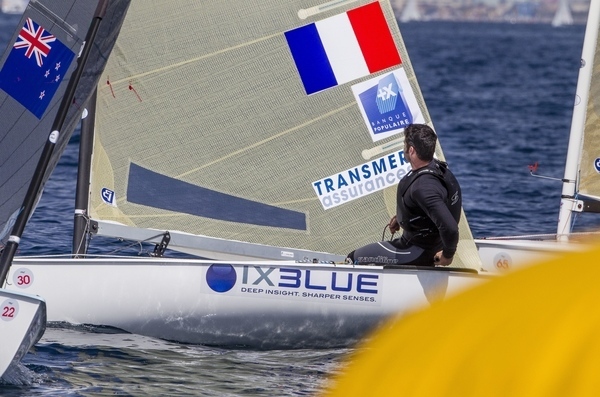 With 47-boats on the start line the racing has been tough, Lecointre added, “It has been a long time since we raced in a big fleet. It’s not easy when you have a bad start and the level has increased once again. 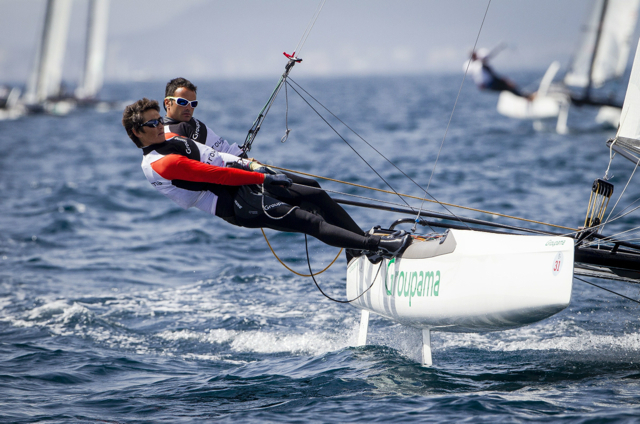 “It’s a great start to the first day of the World Cup,” said Grael ashore after racing. 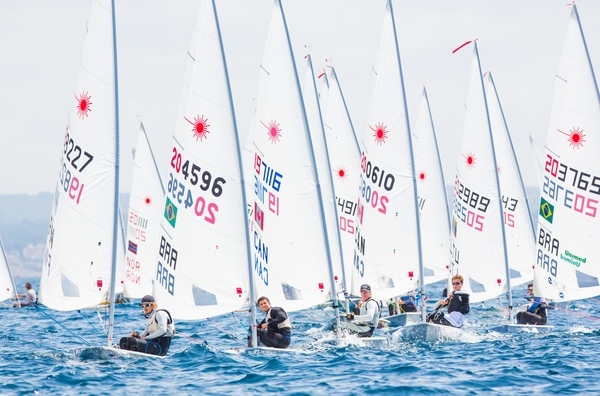 “We wanted to start the World Cup quite conservatively by not doing an OCS or by getting any letters on our score. That was the key point for the start. 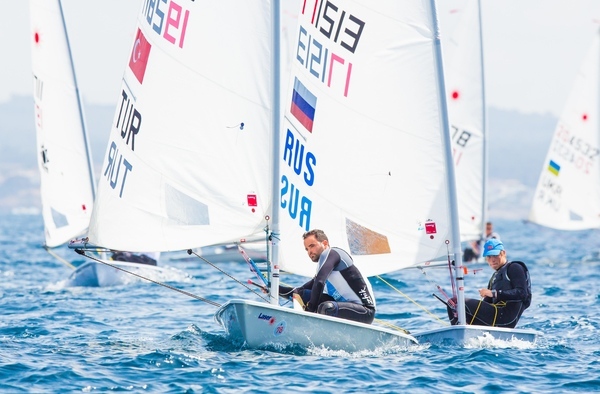 China’s Chunzhuang Liu came out flying on the opening day of Men’s RS:X racing taking bullets from the first two races and adding a fourth in the final race of the day. 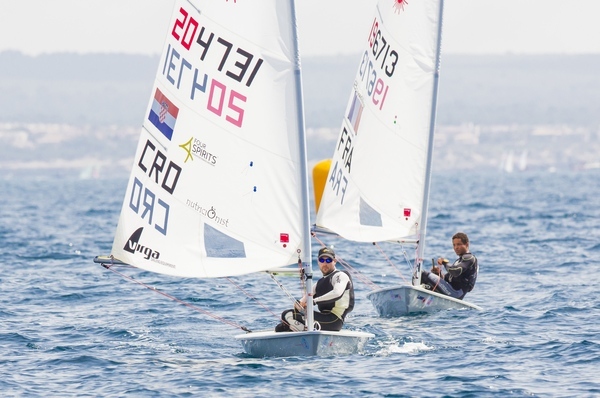 The ISAF Sailing World Cup Melbourne silver medallist was devastatingly quick in the light breeze and leads on two points having discarded his fourth. 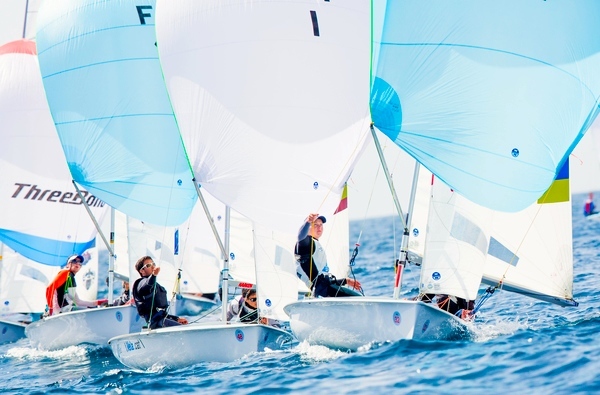 The 73 registered Nacra 17’s are split up into two and racing in the blue fleet Cammas and de Turckheim were dominant in the light breeze. 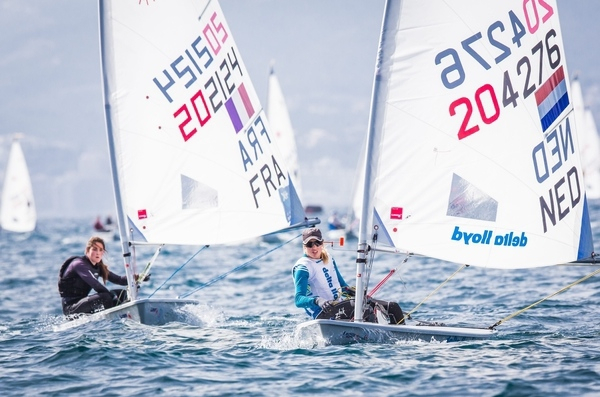 Federica Salva and Francesco Bianchi (ITA) remained consistent alongside the French pair in the blue fleet and sit second, a point behind. 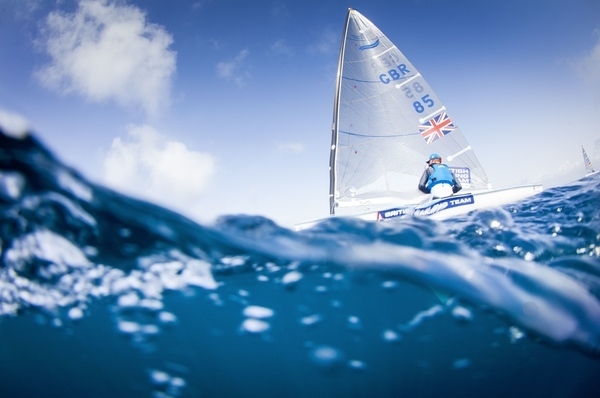 Helena Lucas (GBR) opened her regatta up with double bullets in the 16-boat 24mR flee. 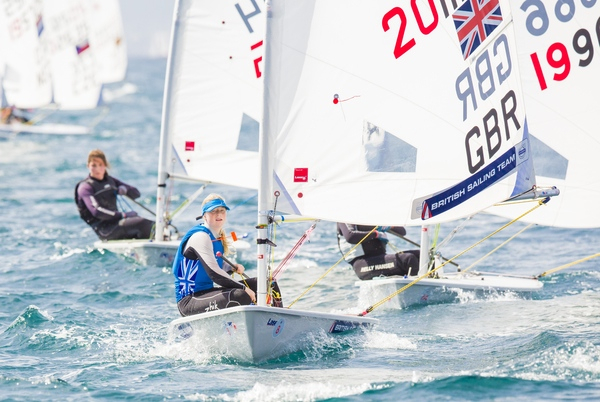 Compatriot and ISAF Sailing World Cup Miami gold medallist Megan Pascoe trailed Lucas in both of the opening day’s races to pick up two seconds. 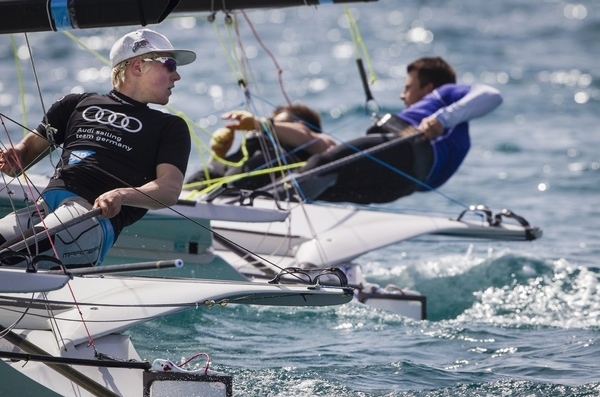 Norway’s Bjornar Erikstad is third on seven points.